Windproof lid, attached includes extra silver mesh screen. This metal chamber pipe has been decorated with strips and ovals of shiny reflective parts which catch the light and twinkle and glint like stars in an only slightly muddy pond. The windproof lid of this pipe allows you to enjoy a smoke of your favourite herbs or flavored tobaccos even in blustery conditions. All the parts from the mouthpiece, shaft, bowl and lid are standard-sized and removable so it is easy to clean and find spare parts or add-ons for. The Raw Pipe is a great way to fly your “Raw flag”. It’s distinguished yet functional with its wood finish and classic style. 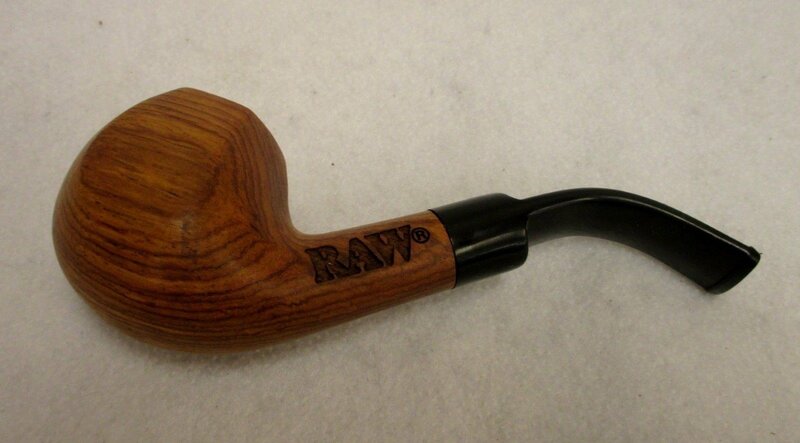 The RAW brand name has been embossed into the side and the shape of the pipe itself makes it comfortable to hold. A must for any Raw collector.